Coming straight from the hot plains of Arizona, Youceff Kabal is the artist behind new hip hop electronica project yus. Out of his home in Phoenix, the young musician makes music that perfectly blends pop, electronica and hip hop. 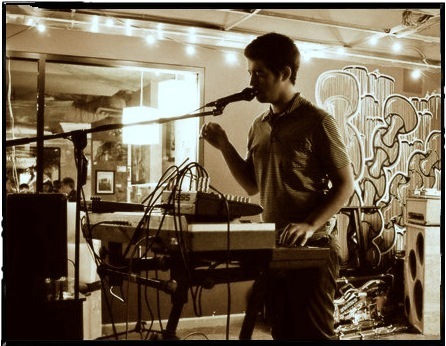 With his guitar, a few keyboards and a lot of creativity he manages to come up with some killer tunes that are further enhanced by his highly processed vocals. The eight synth-based songs that make up his debut album Palms may seem simplistic at first but they reveal new elements with every listen, forcing you to play the album on repeat until you’ve extracted every drop of sound. The intricate beat/synths structure Kabal’s plaintive, metallic vocals say a lot more than you’d think at first listen. Follow yus on Facebook and check out all his music on Bandcamp.